A huge thank you to everyone who made the trek down to North End Pub yesterday for our first monthly tournament. I personally really appreciate you taking your time to travel and play pinball at the bar, and hope everyone had a great event. Congratulations to Keith Alyea on winning the 4-Strikes tournament with huge back to back wins on Indy 500 and Prospector to clinch the victory. We also had a few first-time players in Chris Dean and Kaleb Wilken who put up great performances and hope to see you both playing in more tournaments in the near future. Remember next week’s tournament for the Indianapolis/Lafayette Super Circuit will be at Fountain Square Brewery in Indianapolis. Details can be found here. 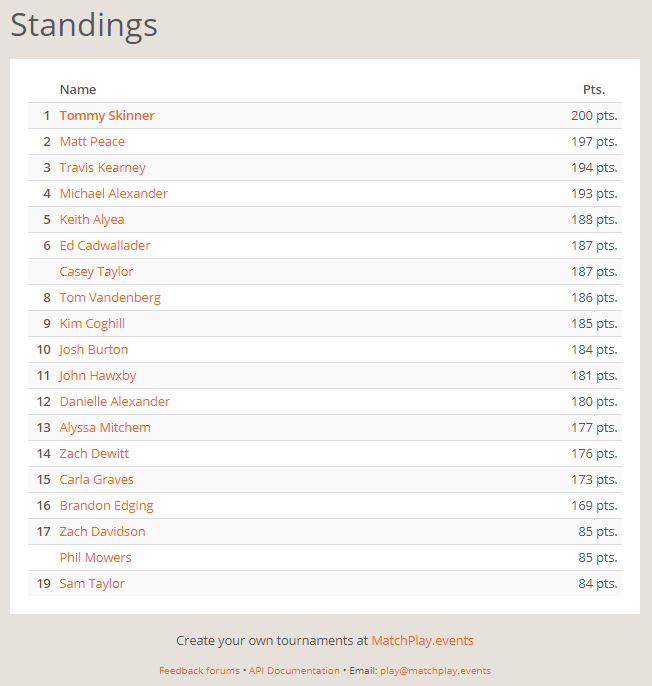 Congrats to David Linder on drawing #30 and winning the Royal Rumble Elimination Challenge as well. Don’t forget that Wednesday is FREE PLAY night at North End Pub and you have until Thursday night to get your selfie scores submitted for Royal Rumble and Stars, the selfie finals will be next Monday night. And don’t forget that Thursday night is Team League night, see everyone there!